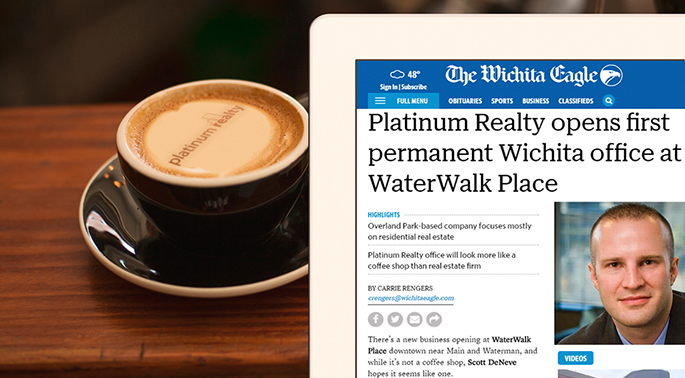 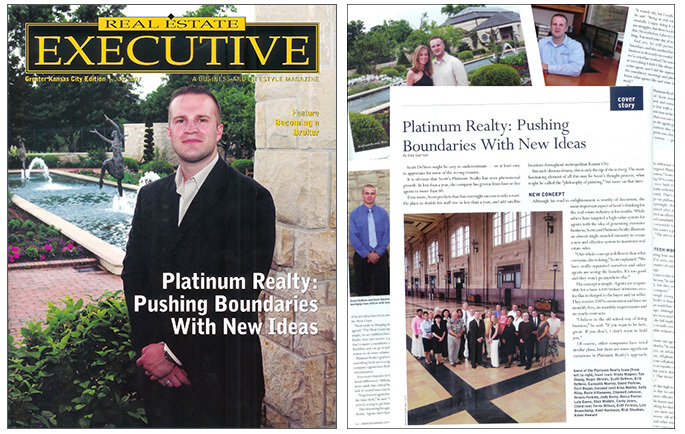 Platinum Realty has proven itself to be at the cutting edge of the real estate industry. 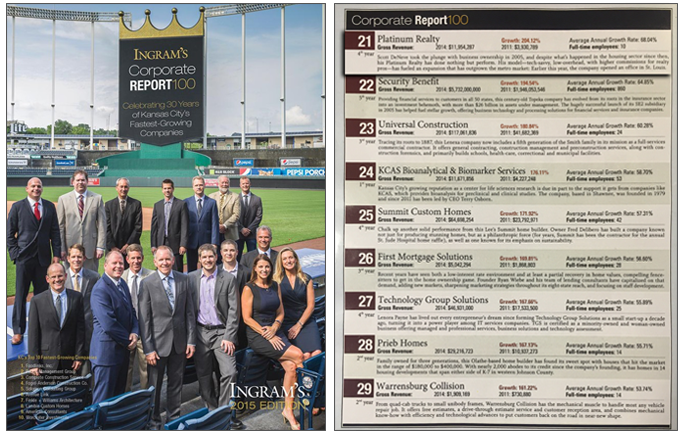 A strong foundation on business ethics and values will continue to add to the company’s future success in the changing real estate market. 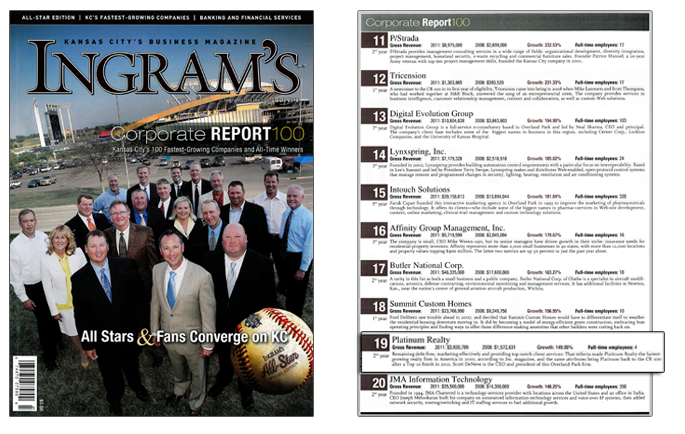 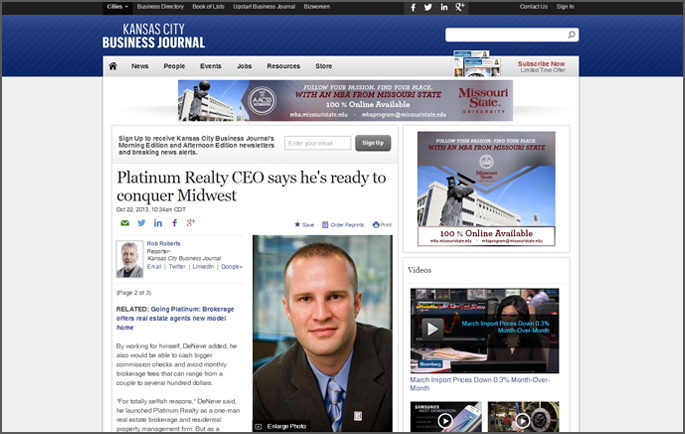 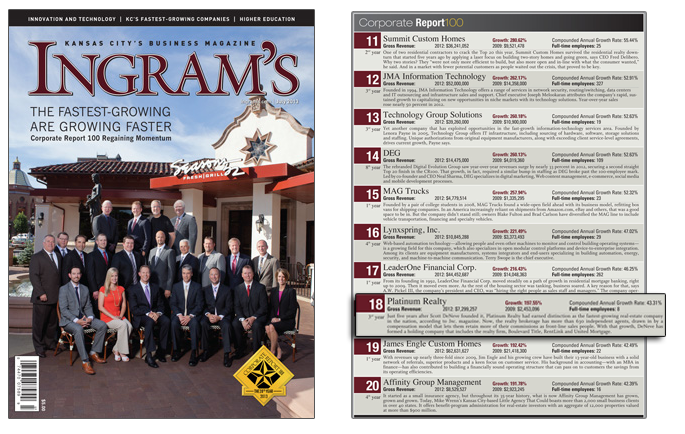 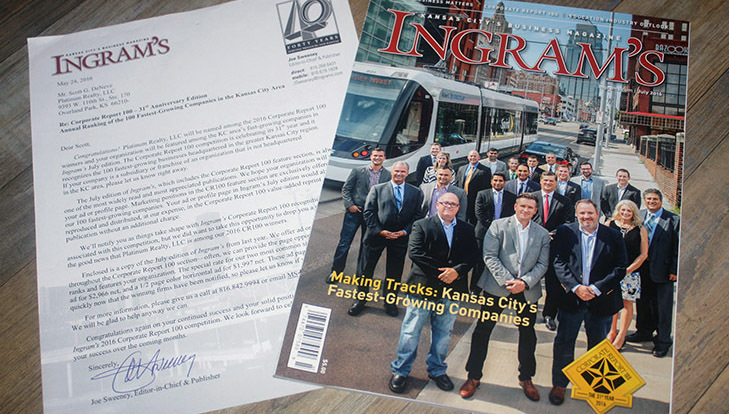 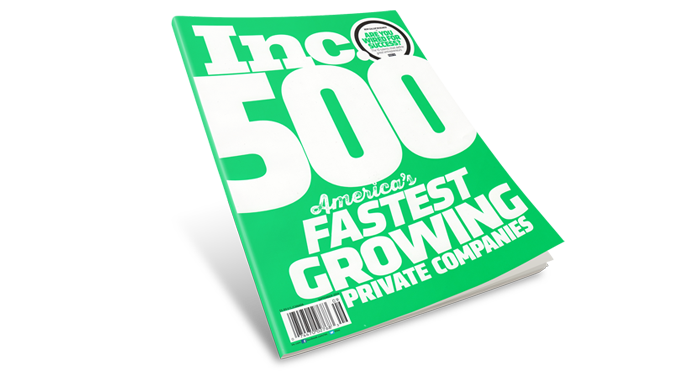 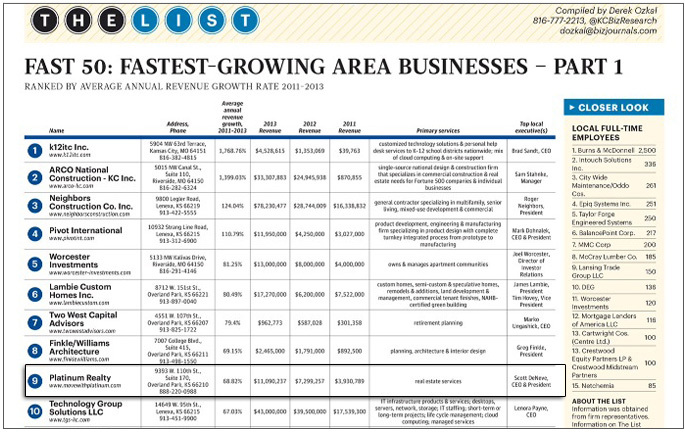 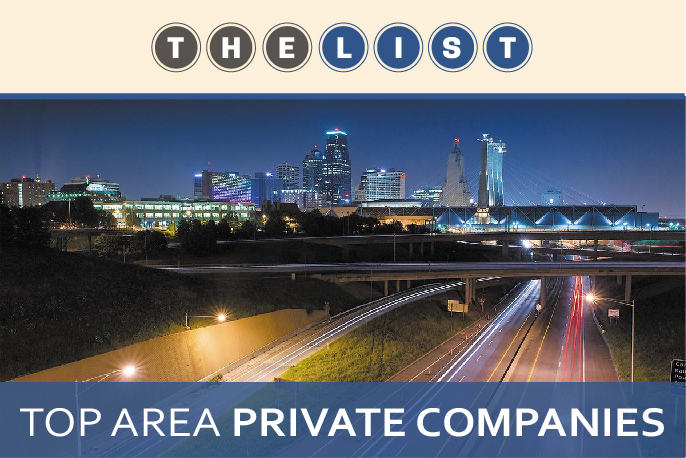 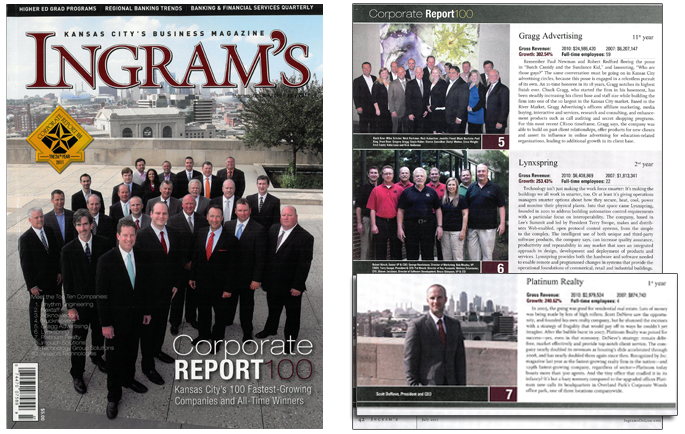 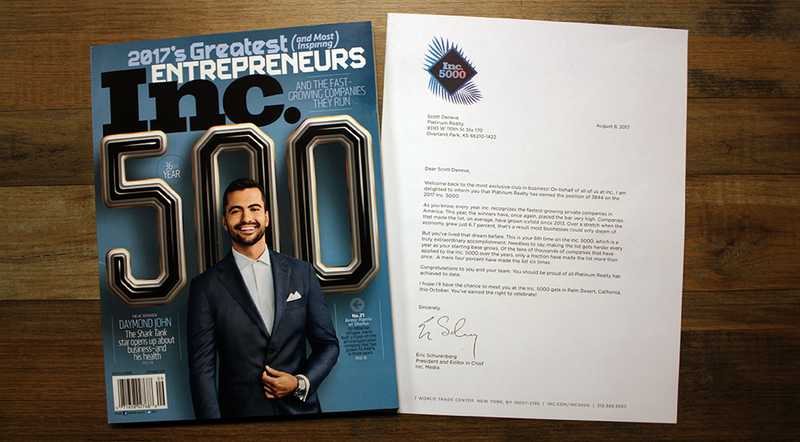 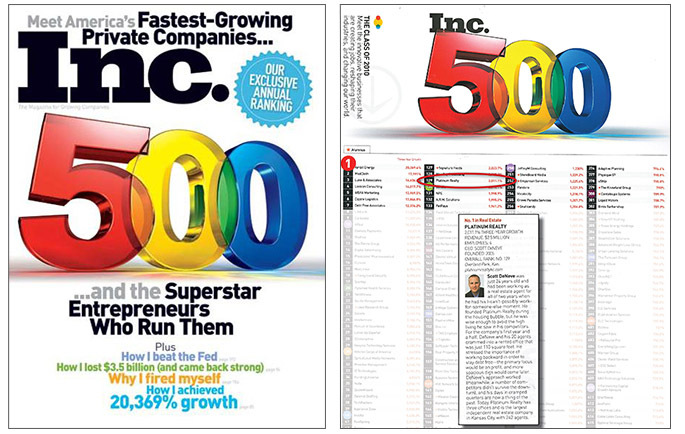 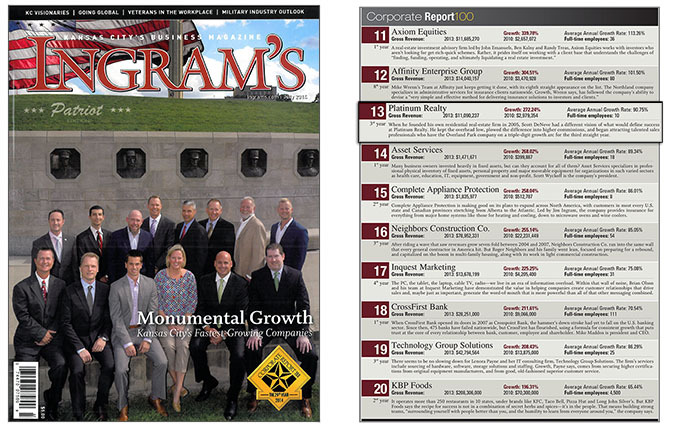 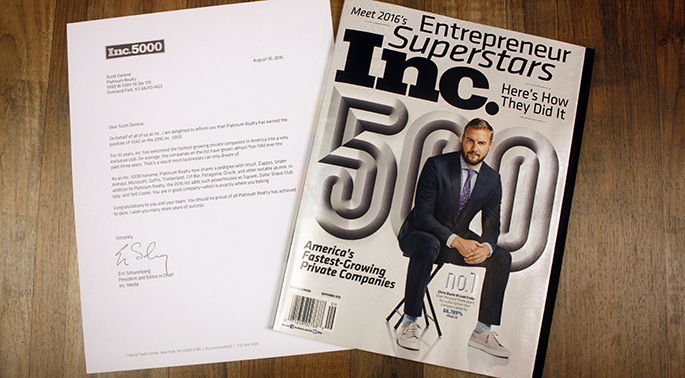 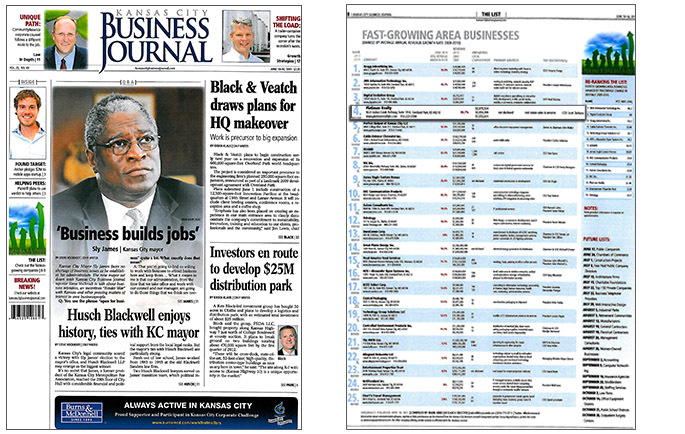 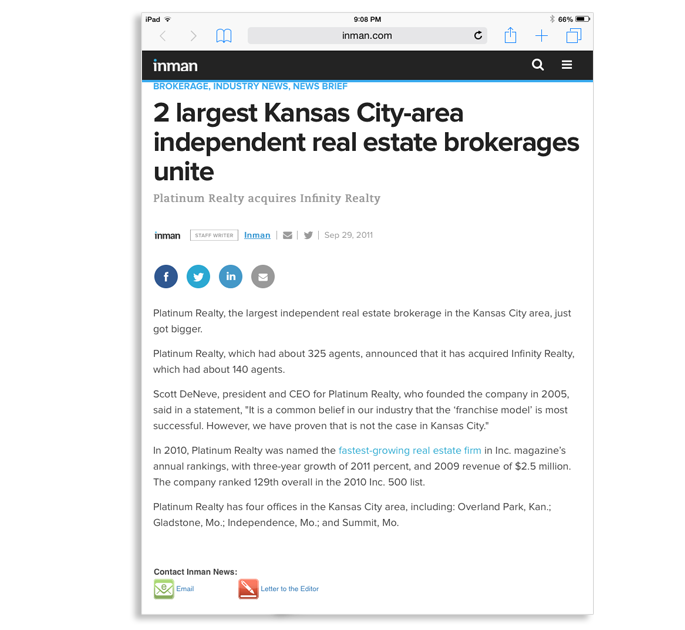 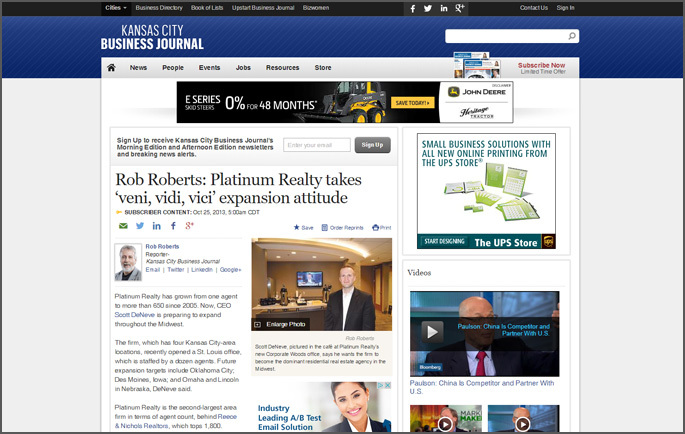 Platinum Realty makes the list of 50 fastest growing companies in Kansas City. 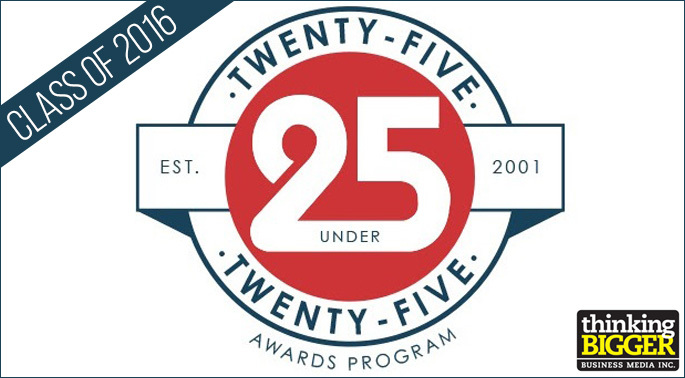 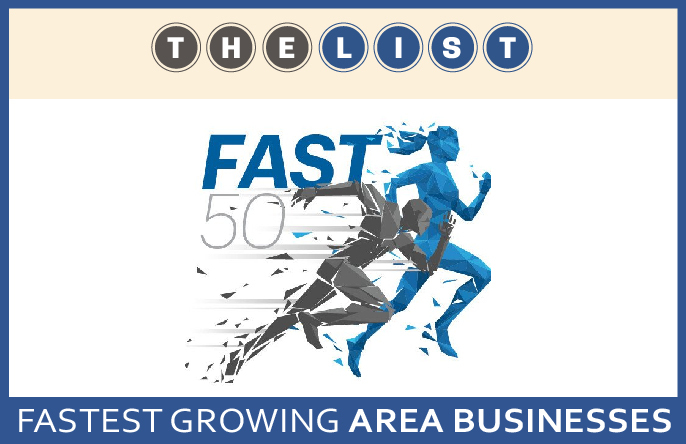 "THE LIST - Fast 50: The Area's Fastest-Growing Businesses" - Platinum Reatly makes the list for the 5th year in a row and is ranked # 42! 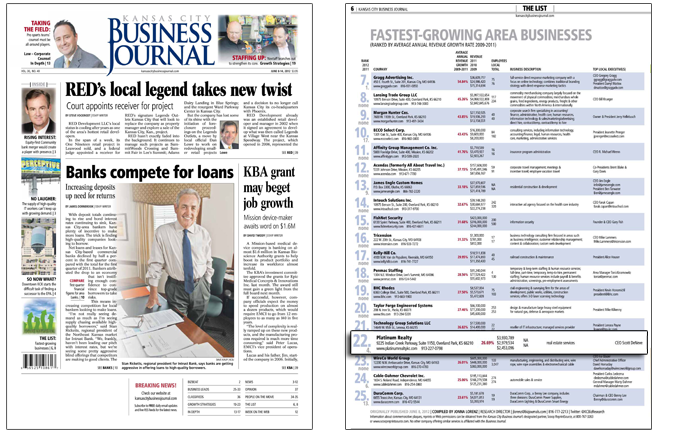 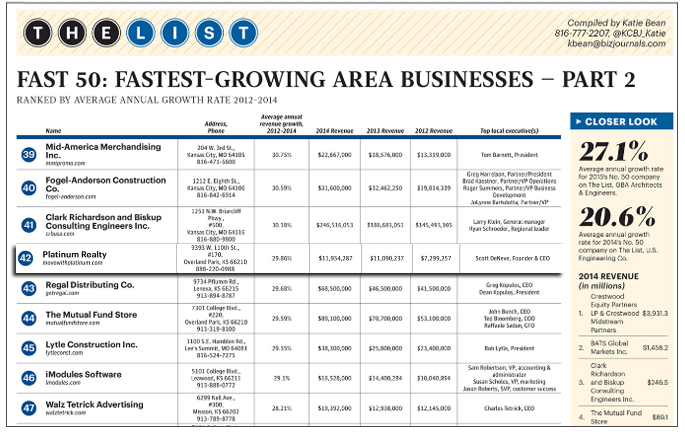 "THE LIST - Fastest-Growing Area Businesses" - Platinum Realty ranked #22 and the only real estate company to make the list second year in a row! 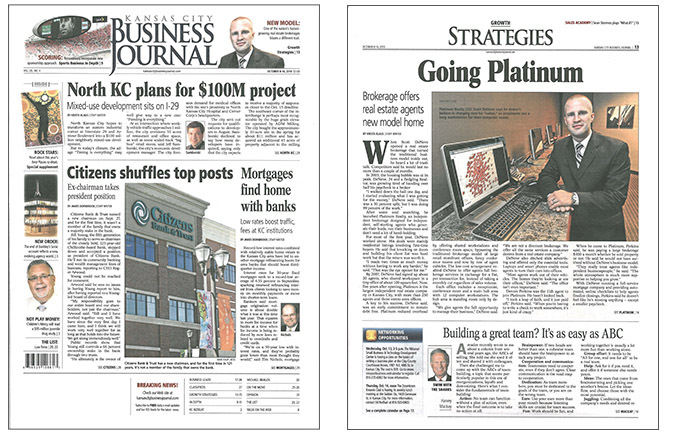 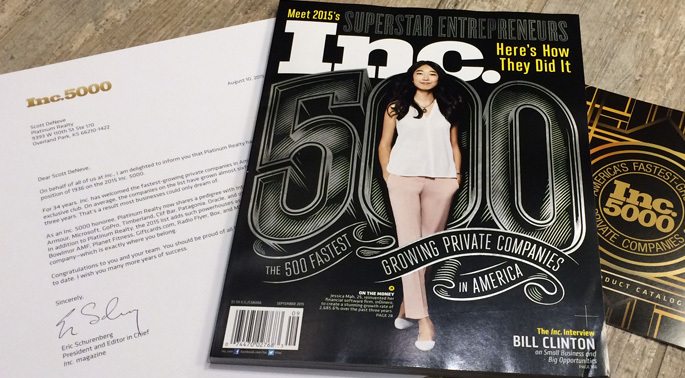 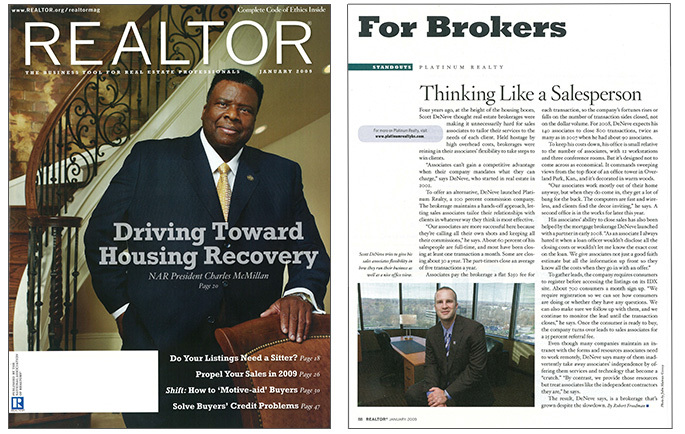 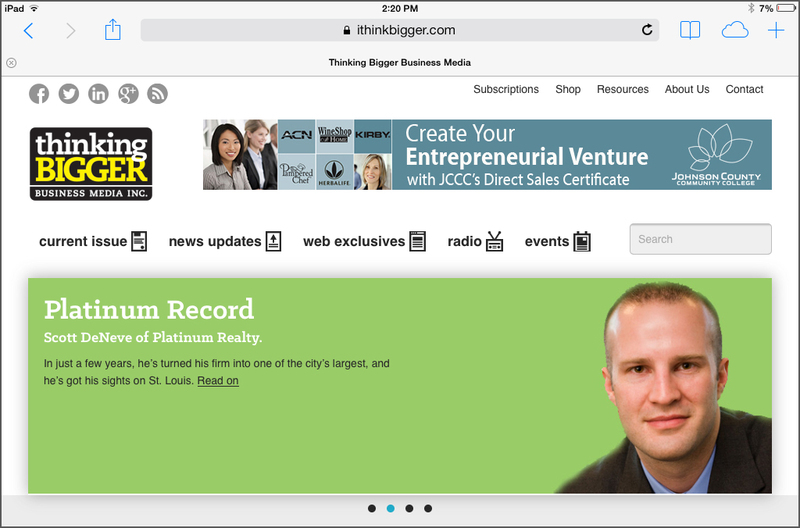 "Going Platinum" - Platinum Reatly is featured in Growth Strategies Section.